I just wanted to say thanks for a very informative, great training day. 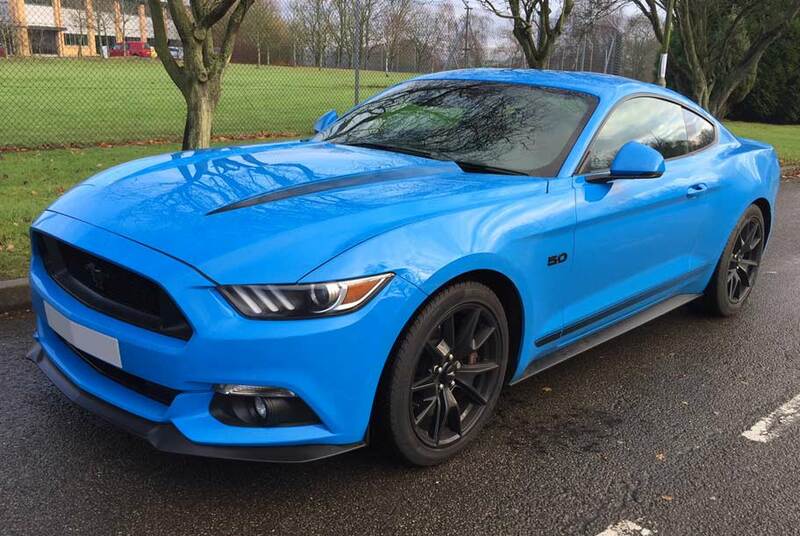 Having bought a Mustang GT I knew it would be a handful, and thought it would be a good idea to get an idea of the limits and how to get the most out of the power. I had done other driver training courses before but this, being bespoke and one to one with Ivan, was totally different. After some initial theory tuition we went to the Outer Handling track and put it into practice, which was a revelation – including learning to trail brake to get the front end to tuck in and allow the car to rotate quickly into tight bends whilst staying planted, plus looking through the side windows on the approach to tight bends for early identification of exit points and therefore judging apexes. The wet handling ‘skidpan’ was very challenging and Ivan was very patient when I got petulant and challenged him to catch the slides; which obviously he did without a problem. The High Speed Circuit was a lot of fun, especially looking ahead as far round the bend as possible rather than simply looking straight ahead. This was fine at 50 mph, but a bit more worrying when speeds rose to 130 mph! Yet it worked really well, increasing the comfortable depth of my vision and helping me plan so much further ahead than I was before; and making it really easy to do so when speeds were brought back to 90 mph. Ivan was never condescending or patronising in his assessment of my driving which, as a female, is a refreshing change! Overall, I feel far more confident driving my Mustang now that I know how it responds to different conditions, and my daily drive has become all the more enjoyable now that I am putting into practice everything that I have learned. Thank you Ivan. Ivan was never condescending or patronising in his assessment of my driving which, as a female, is a refreshing change! Overall, I feel far more confident driving my Mustang now that I know how it responds to different conditions, and my daily drive has become all the more enjoyable now that I am putting into practice everything that I have learned.